KUCHING (Feb 12): The Malaysian Anti-Corruption Commission (MACC) has stressed that whoever is involved in the claim that RM90 million was allegedly channelled into the accounts of PAS leaders, will be called to assist in the investigations. “I do not want to speculate on whether certain individuals will be called or not...because corruption is not about speculations or expectations. It is (based) more on facts,” he told Bernama at the Majlis Amanat Perdana Integriti 2019 (MAPI) programme graced by Sarawak Chief Minister Datuk Patinggi Abang Johari Tun Openg here yesterday. Last Friday, PAS central committee member Nik Mohamad Abduh Nik Abdul Aziz, presented himself at the Kelantan Anti Corruption Commission (MACC) headquarters to give his statement regarding the case. 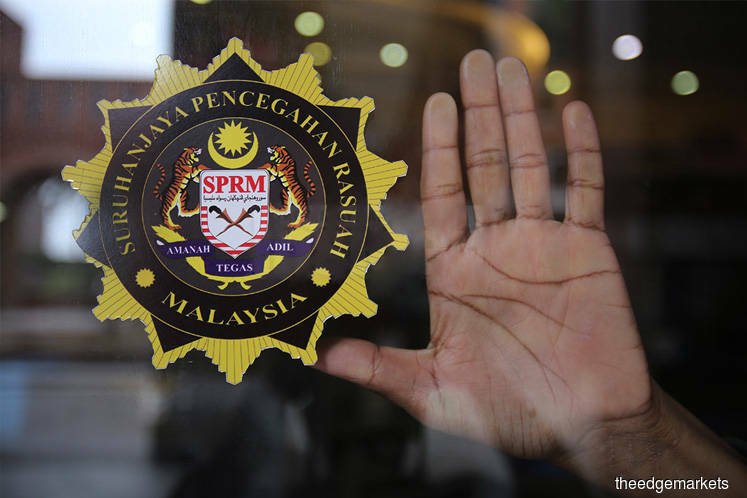 According to MACC sources, the case is being investigated under the Malaysian Anti-Corruption Commission (MACC) Act 2009 and Anti-Money Laundering, Anti-Terrorism Financing and Proceeds of Unlawful Activities Act 2001. There had been articles carried by the Sarawak Report in August 2017, which among other things claimed that a sum of RM90 million was ‘believed’ to have been deposited into the bank accounts of senior PAS leaders to secure their support for UMNO and Barisan Nasional.